Evoque is the first Land Rover with Smart Settings, which uses artificial intelligence algorithms to learn the driver's preference and acts as an on-board butler. MOTORING NEWS - At home in the city and the mountains, the new Evoque has joined the Range Rover family with a choice of diesel and petrol engines. Having pioneered the luxury compact sports utility vehicle (SUV) market with global sales of over 772 096 and literally hundreds of international awards, the new Range Rover Evoque is a sophisticated evolution of the original. Combining unrivalled Range Rover heritage with cutting-edge technology, it meets the needs of today's customers. Finbar McFall, global marketing director of Jaguar Land Rover, said, "Eight years ago we created a new segment and the world followed. Now we have redefined what it means to be a luxury compact SUV. With design and capability at its heart and the latest technology to hand, the new Range Rover Evoque meets your needs and ensures you reach your destination, no matter the conditions." Building on the original's instantly recognisable design, the new Range Rover Evoque is a sophisticated evolution of the distinctive coupé-like silhouette, typified by its characteristic roof and rising waistline. These proportions are amplified by pronounced shoulders and powerful wheel arches that create a strong and dynamic attitude. The introduction of jewel-like elements such as super-slim Matrix LED headlamps provide a more sophisticated front and rear look for the lights. Flush door handles add to the smooth, sculpted appearance, while sweeping directional indicators add a purposeful signature. Inside, the finely crafted design integrates uncluttered surfaces and simple lines with premium materials to create a luxurious, minimalist, digital cabin. Technical textiles that use recycled plastics are offered as premium alternatives to leather. The cabin is designed to be a calm and serene space, ensuring comfortable, healthy and happy occupants, with advanced technology complementing the interior space. 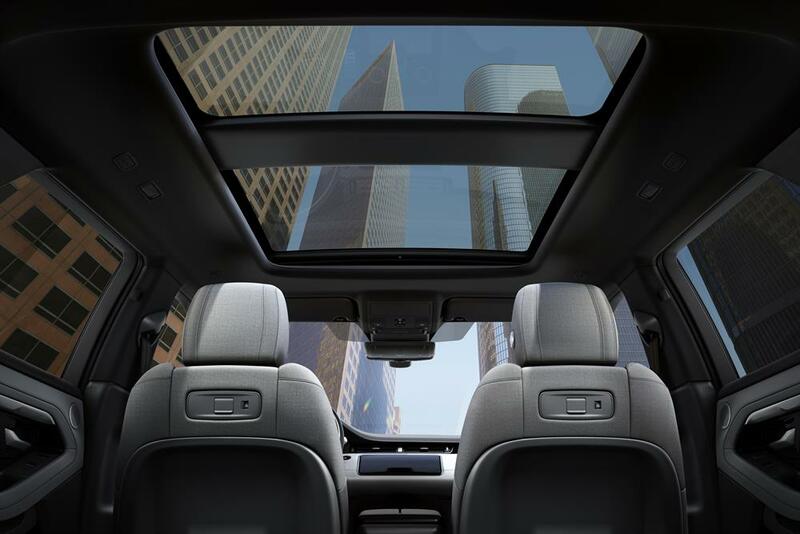 The footprint is almost identical to its predecessor, yet thanks to Land Rover's new mixed-material Premium Transverse Architecture, there is more interior space than before. A longer wheelbase yields 20mm extra rear knee room and an increase in small item stowage. The larger glove box and centre cubby can now fit tablets, handbags and bottles with ease. The much wider luggage space is 10% larger (591 litres) with space increasing to 1 383 litres when the flexible 40:20:40 second-row seats are folded flat. Every bit a Range Rover, the compact SUV combines all-terrain capability with all-weather assurance. 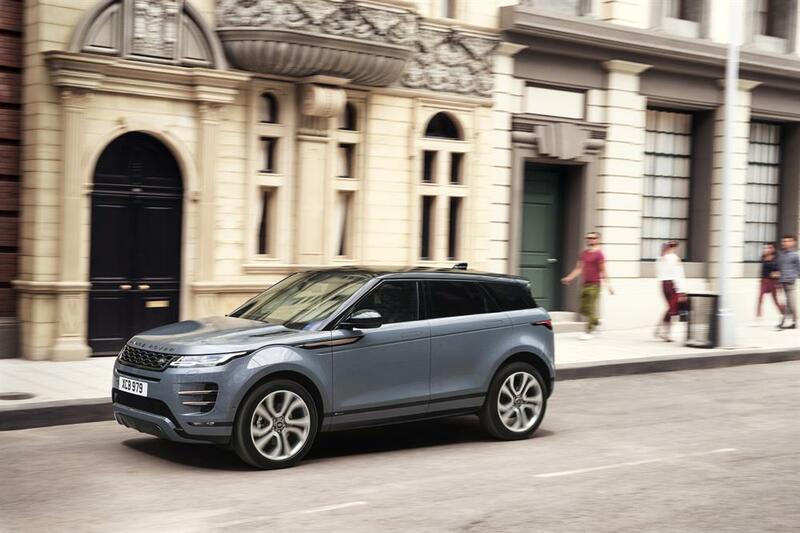 The new Evoque features all-wheel drive, as well as a second-generation active driveline with driveline disconnect to enhance efficiency. Adaptive dynamics deliver balanced comfort and agility. Terrain Response 2 is added. 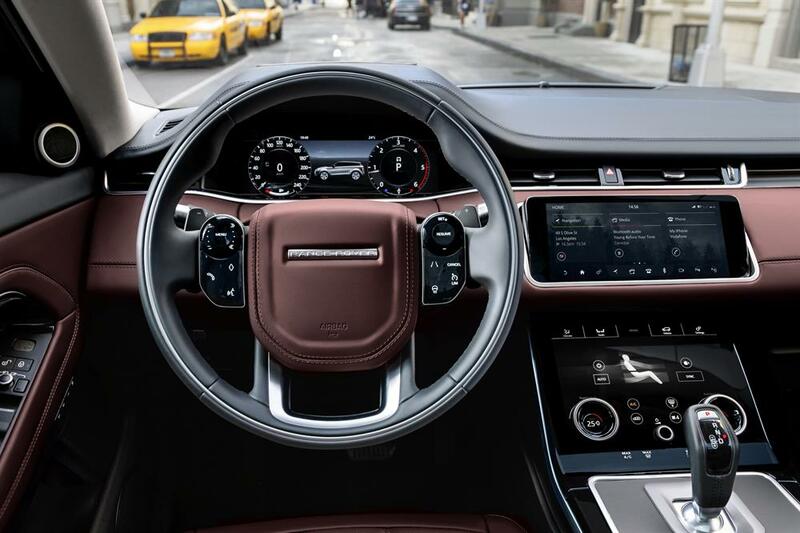 The technology, which automatically detects the surface being driven on and adjusts the set-up accordingly, was first found on the full-sized Range Rover. The Evoque can now wade through water up to 600mm deep. If rear visibility is compromised by passengers or bulky items, the driver simply flicks a switch on the underside of the mirror and a camera feed from the top of the car displays what is behind the vehicle. The new Range Rover Evoque is the first in the world to feature ground view technology, which effectively makes the bonnet invisible by projecting camera imagery onto the upper touchscreen, showing the driver a 180-degree view under the front of the vehicle. This is useful when negotiating difficult parking spaces, navigating high city centre kerbs or tackling rough terrain. In addition to seat position, music and climate settings, Evoque can also control steering column preferences to maximise comfort.